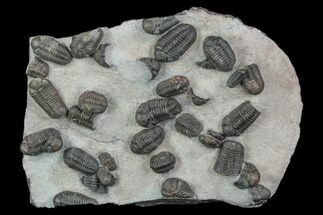 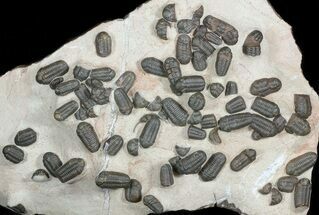 This is a mortality plate of 11 good sized Austerops trilobites, collected near Jorf, Morocco. 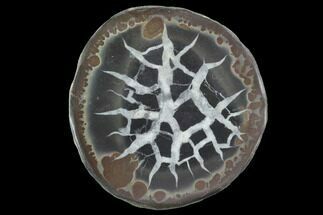 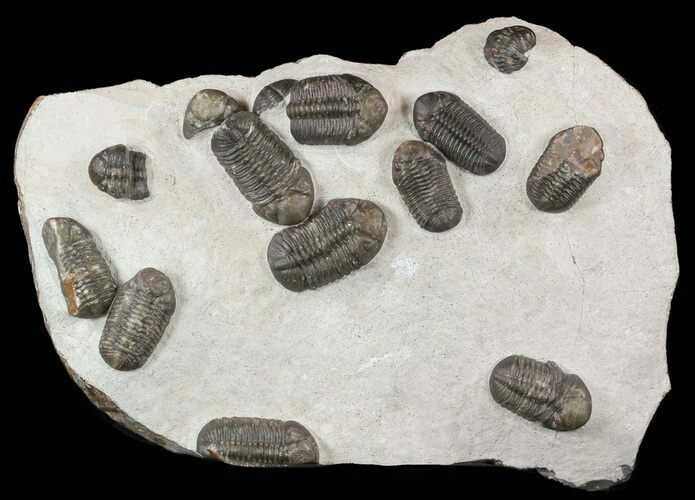 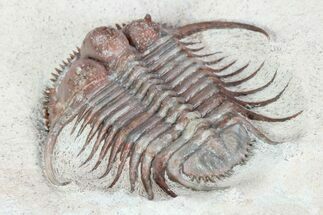 Most of the phacopids you see from the locality are much smaller in size with the trilobites on this plate averaging about 2 inches in length. 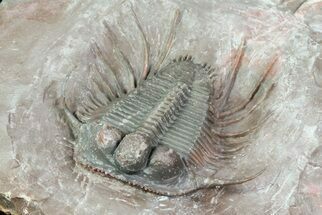 Plate 11.5x8.3", Largest Trilobite 2.3"